A magnificent six arm Swedish Empire style chandelier hand crafted in solid brass with traditional Bohemian lead crystals and stunning 'crown ring' top adornment. This beautiful reproduction chandelier has concealed internal electric lamps, with the beauty and romance of hand made wax candles around the exterior. 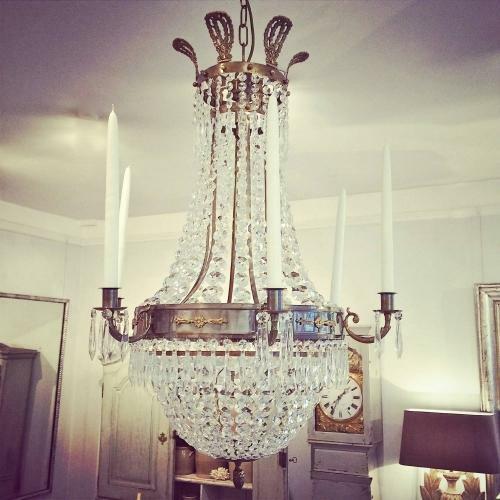 This chandelier has been reduced to make way for new stock arriving soon.